There are some very clever innovative ideas for products around these days, and the one we’re giving you details of today is called the Invisible Gamepad. This is a Kickstarter project that will go into production if the required funding goal is met. After finding out more, we feel the Invisible Gamepad brings mobile games back to life. We often bring readers news on various Kickstarter ideas, and it’s good to see that many of them do meet the necessary funding required to go into production. Just two recent examples that we’ve told readers about are the SLiM Stand for the iPad, and the Poppy that will turn an iPhone into a 3D camera. Now the Invisible Gamepad joins the long list of Kickstarter projects, and the funding goal is $7000. The deadline to meet this target is August 25 and $4,949 has already been raised, so things are looking very promising. The idea of the Invisible Gamepad is to bring mobile and console gaming closer together by providing a tactile feedback element. With modern touchscreen devices many avid gamers miss the use of physical controls, especially when playing platform or shooter games. The idea of products enabling physical gaming controls on mobiles is nothing new, but previously they have appeared as rather bulky attachments, which really defeats the object. However, with the Invisible Gamepad you have high-quality stick on controls that are so lightweight that you can keep them on the device all the time if you want to. The controls are compatible with iPhone, iPad and Android devices, and they can be stuck straight on to the display, or onto a screen protector. If you want to remove them, then you’ll be pleased to know they leave no residue, and the Invisible Gamepad uses stick on controls in a variety of sizes and shape to suit all games and devices. These controls are made from smooth transparent film with slightly raised edges, so that they really provide a tactile feedback. For example, buttons feel just like physical circles on the display, while the D-Pad has that definable cross shape. We’ve embedded a video about the Invisible Gamepad below this story, and if you want to see more about this project then head to Kickstarter here. 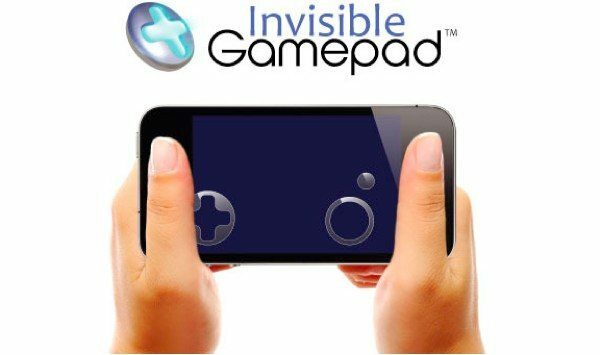 We’d like to know what you think about the Invisible Gamepad so feel free to send us your comments. Will you be a backer for this new idea?